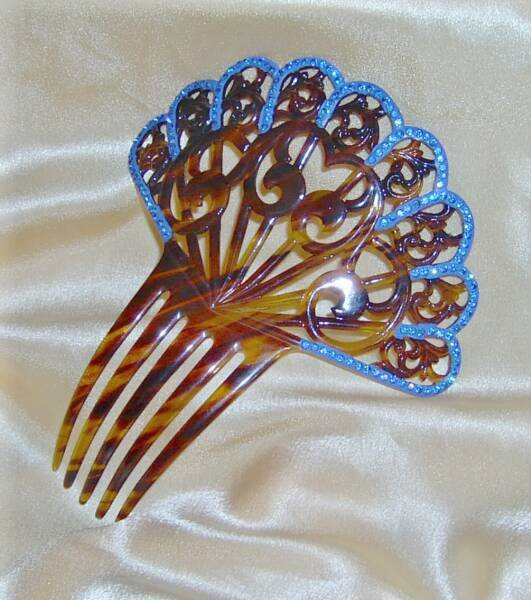 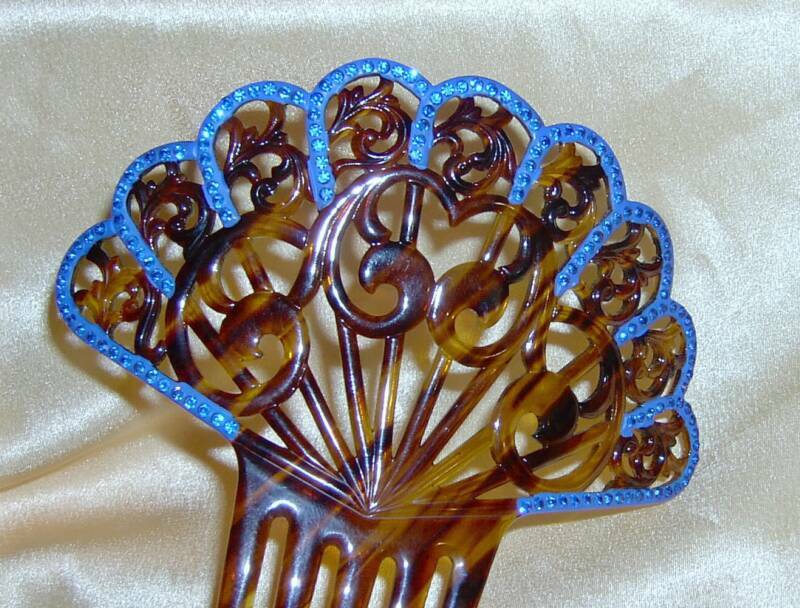 This beautiful hair comb is in a design often seen in overlays but is superbly done here in tortoiseshell celluloid with a blue painted rim and blue, blue stones, It's a beauty! 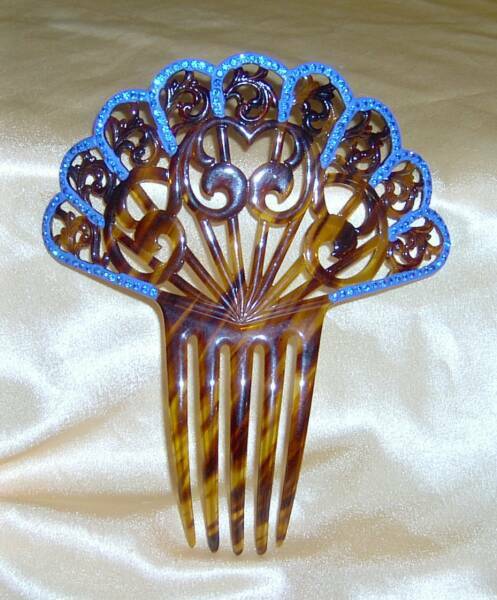 This measures about 6" x 5" and is in perfect condition. 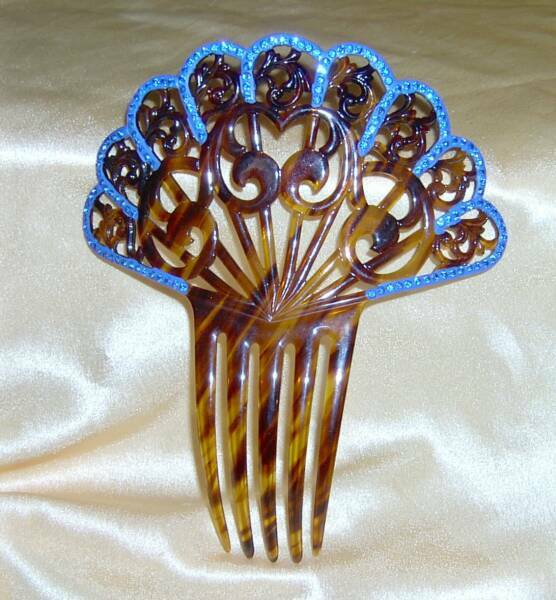 This is a true collectors item and a wonderful gift for a hair comb collector.